The two latest mini-anthologies from Candlestick extend their family of pamphlets celebrating people to Ten Poems about Fathers, Mothers, Aunts, Grandparents and Babies, adding a delightful pair of titles featuring poems of reflection, joy, sadness and (inevitably) mischief. Each selection explores the delights and challenges of the sibling bond – from the games and secrets of early childhood to the separate journeys of later life. Ten Poems about Sisters introduces us to two young sisters who together form a pair of ‘toe-tapping feet’ and we taste the thrill of refusing to follow convention in a poem about defiant sisterhood. In Ten Poems about Brothers, there are brothers who fight, brothers who sing, and a brother who won’t answer the phone to his anxious sister. We meet teenage brothers who are so alike they even smell the same. The poems are tender, intriguing and humorous by turn – and are sure to provoke many a lively conversation between siblings. Most of all they reflect the abiding love we feel for a brother or sister and demonstrate how this can enrich a life, and sometimes even save it. 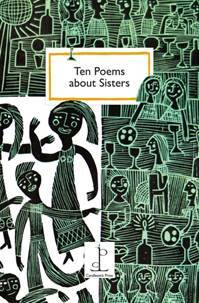 Ten Poems about Sisters: poems by Julia Bird, Wendy Cope, Michael Donaghy, Galway Kinnell, Esther Morgan, PK Page, Dorothea Smartt, Jean Tepperman, Jack Underwood and Julia Webb. 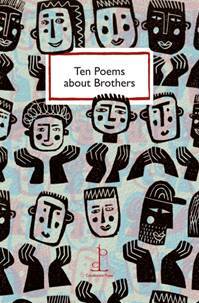 Ten Poems about Brothers: poems by Matthew Dickman, Jonathan Edwards, Lavinia Greenlaw, Joanne Limburg, Hannah Lowe, Rebecca McClanahan, Rob Miles, Mary O’Donnell, Ben Scammell and Floyd Skloot. I love poetry pamphlets from Candlestick press. Printed on high quality paper with a wonderful bookmark, each selection of poems a joy to read. They make a great alternative to sending a card or would make a perfect stocking filler gift for Christmas. Candlestick Press is a small, independent press publishing sumptuously produced poetry pamphlets that serve as a wonderful alternative to a greetings card, with matching envelopes and bookmarks left blank for your message. Their subjects include Friendship, Tea, Puddings, Gardens, Birds and Kindness. Candlestick Press pamphlets are stocked by chain and independent bookshops, galleries and garden centres nationwide and available to order online. The Spotlight falls on ...Jaffa..